Meet the newly-announced Huawei Mate 20 lite. You can go and get one right now on the Huawei website. It’s going to set you back just £379 and it’ll be available from Carphone Warehouse, Vodafone and EE from October. It’s billed as the “first look at the Huawei Mate 20 Series” and, strangely overlapping the hallmarks of their sister brand, Honor, they’re set to deliver “premium technology for less”. It measures in at 75.3mm by 158.3 and is just 7.6 mm thick. It weighs 172 grams and will be available in black or blue. The screen, oh the screen, is a mahoo-sive 6.3″ and is a FHD+ 2340 x 1080, 409 PPI panel. It’s powered by a Huawei Kirin 710 octa-core + i7 microprocessor. That gives you 4 cores at 2.2GHz and another 4 at 1.7GHz alongside a Mali-G51 1 GHz unit. Sure, it might be called “Lite”, but this doesn’t appear to be a slouch in the specs. It runs Android 8.1 and has 4GB RAM with 64GB of storage and a microSD card for more space. It also gets 4G connectivity, a 3.5mm jack port, Bluetooth 4.2, dual-band WiFi, GPS and NFC plus a 3750 mAh battery. The cameras at the back are a dual-shooter setup. One 20 megapixel plus a 2 megapixel with F/1.8 aperture and autofocus (PDAF and contrast focus). At the front though, there’s two more. A 24 megapixel and 2 megapixel with an F/2.0 aperture, albeit with fixed focal length. Head on down for the full press release. You can also hit the Huawei website for more. This phone has AI capability, improved battery life, improved performance, quick charge and a great camera setup. LONDON – August 31, 2018 – The Mate 20 Series embodies Huawei’s commitment to advancements made in AI, overcoming challenges associated with performance and battery life, to become the trusted partner for users far and wide. 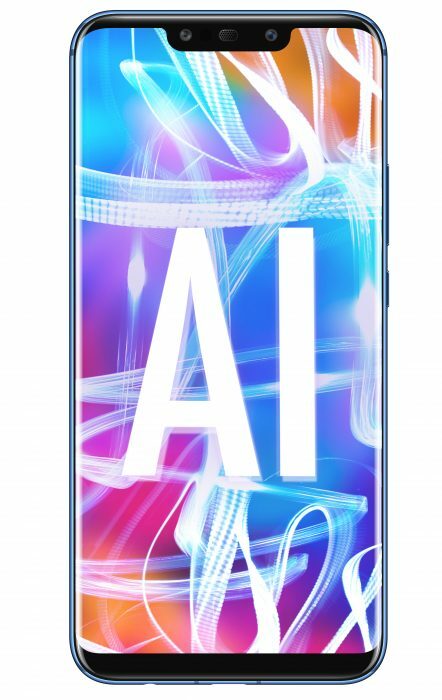 Now, the global technology leader is bringing the benefits of AI to more people with the Mate 20 lite – the first device to be launched from the much-anticipated Mate 20 Series. Equipped with four cameras for professional photography, the Mate 20 lite combines AI technology with high-performance hardware, smart battery management and a stylish design, making it the perfect partner for work and play. With the Mate 20 lite, users get an expansive area to work – and play – with. 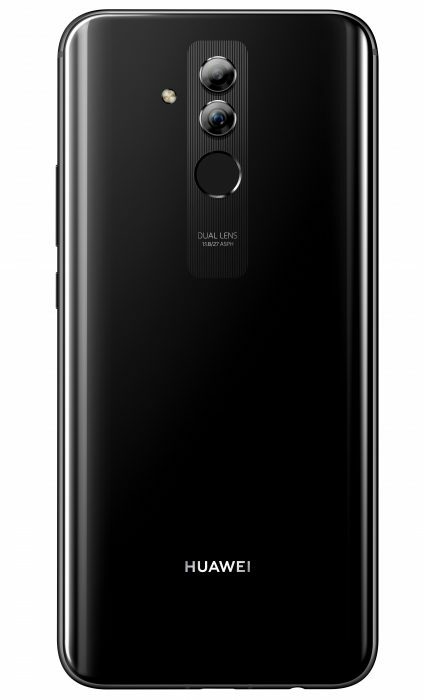 Featuring a 6.3-inch 19.5:9 FHD+ (2340×1080) HUAWEI FullView display, the Mate 20 lite offers a 4% increase in screen-to-body ratio, compared to the predecessor. Replacing the top bezel is a notched design which allows for the bigger screen, providing a great field of view for the ultimate mobile entertainment experience. 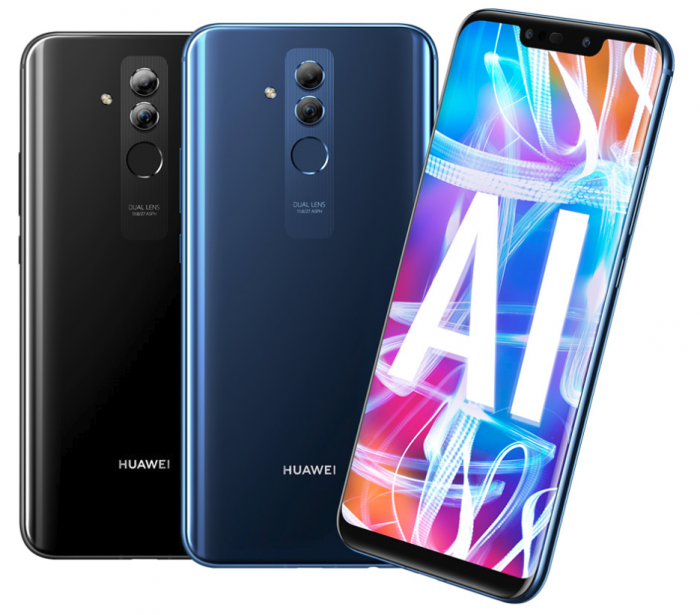 The post IFA2018 – Huawei Mate 20 lite announced is original content from Coolsmartphone. If you see it on another news website, please let us know. GreatCall recently announced the Jitterbug Smart2, a new version of its smartphone for seniors. The phone is based on Android, but GreatCall has completely overwritten the user interface with its own software that was designed specifically for ease-of-use. It has large text and icons that are easy to identify. Basic apps include phone, text messaging, camera, internet, email, maps, and Lively. The Smart2 has voice typing and a speakerphone. The phone has a dedicated 5Star button and can access GreatCall’s health and safety services, as well as emergency services when needed. The phone has a 5.5-inch display with 720p resolution. It includes a 13-megapixel main camera with flash, and a 5-megapixel user-facing camera. A 2,500mAh battery provides all-day power and the phone charges via microUSB. The phone has LTE 4G, Bluetooth 4.2, GPS, and WiFi. The Smart2 is manufactured by TCL, the parent company of Alcatel and BlackBerry Mobile. GreatCall says the Jitterbug Smart2 will be available from September 3. The standard retail price is $150, but it is on sale for $112. Qualcomm today announced aptX Adaptive, a more flexible version of its audio codec. The refreshed codec targets premium devices with improved audio quality, lowered latency, and low-bit rate transmission. What makes it unique is that the codec was engineered to adjust on the fly in order to provide better quality or adjusted latency. 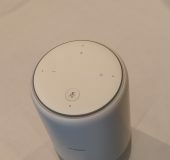 It will help headphones, speakers, phones, and other devices automatically tweak settings based on the content being played and the outer RF environment to ensure a strong connection. Qualcomm says aptX Adaptive will first appear in headsets, headphones, and speakers via the CSRA68100 and QC5100 Bluetooth Audio SoCs beginning in September. Qualcomm is preparing a version of aptX Adaptive for Android-based phones and tablets for a December release. 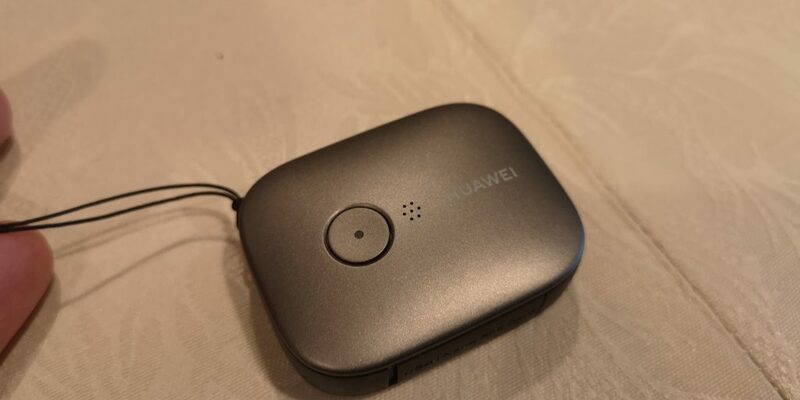 Firstly let’s look at the Huawei AI Cube. This is a 4G Router which also doubles as a powerful Soundsystem and AI speaker. This is what it looks like. So inside this lovely looking bit of kit, we have a router that is capable of using LTE Cat.6 with 300mbps download speeds. It also is Wifi 802.11AC 2.4GHZ 1200 Mbps capable. If you want to use this a mobile broadband router then all you need to do is throw in your sim and then you are good to go. You do however need to remain plugged into power as there is no internal battery. Next up we have got a Speaker with a 400ml sound cavity, Aluminium Diapraghm and Passive radiators. 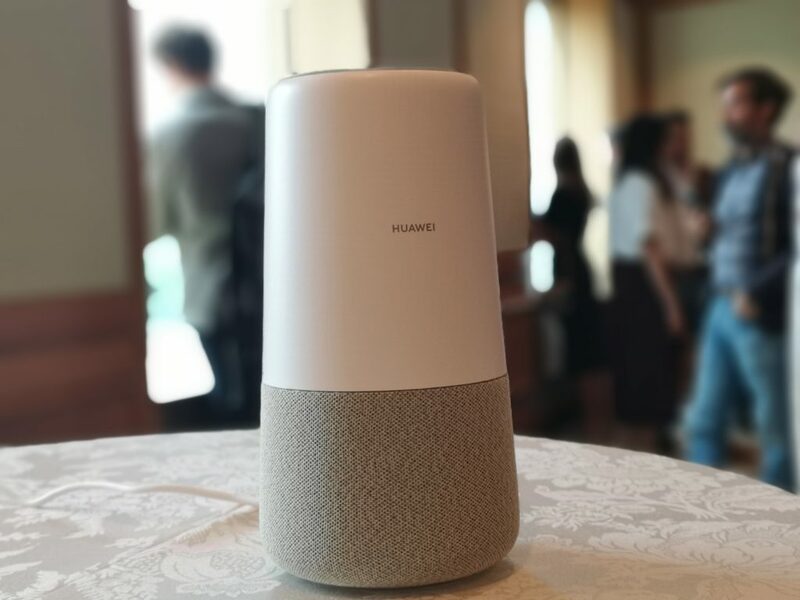 The speaker utilises Huawei Histen to accurately express the original timbre of the music. We also have got some far field array microphones, 4 in total to allow for voice recognition from a distance. 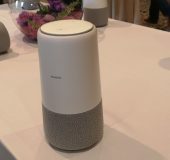 The reason for the device being able to recognize voice is down to the fact that Amazon Alexa is built into the device with access to all of Alexa’s services. 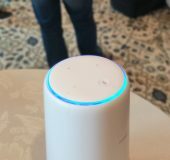 This will allow you to control your Smart home with up to 3500 unique brands making Alexa Capable devices. 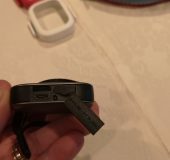 Next up we have the Huawei Locator which is a small pebble-like device that will allow you to track any item that it is attached too. It utilize’s the four main satellite networks, those being GPS/GLONASS/Galileo/Beidou. It has a rated working time of up to 15 days and a standby time of up to 60 days. it will track your item/person to within 5 metres. You don’t need to worry about it getting wet as the device has an IP rating of IP68. For those moments when things don’t go entirely to plan you will find an SOS button. 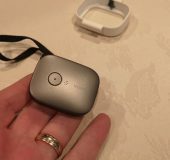 the device will also support Geofencing and Bluetooth Low Energy support. Some of the suggested uses of items that you may wish to track examples include Kids Pets, Baggage and your valuables. The post Huawei launch AI Cube and Locator – IFA2018 is original content from Coolsmartphone. If you see it on another news website, please let us know. 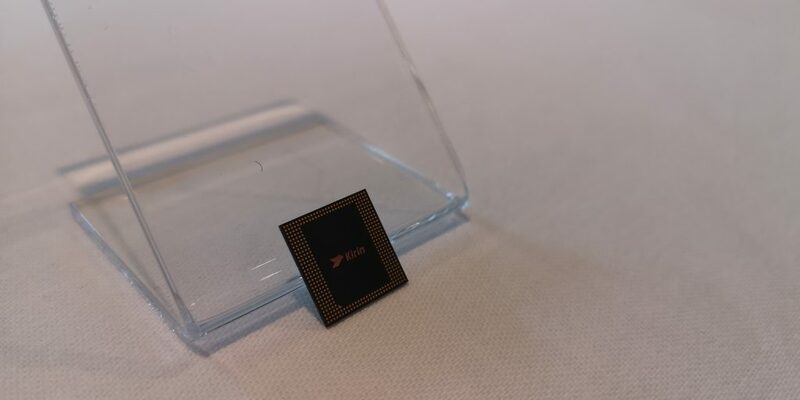 Huawei has chosen their keynote event here at IFA 2018 to Launch their new Kirin 980 SOC which features the first 7nm chip construction. The key stand out features of the chipset are to enable better facilitation of the On Device AI that was introduced last year with the Kirin 970. We now have a new CPU that is based on a Cortex A-76 platform using an octa-core architecture of “2 Big, 2 Middle and 4 Small. These are 2 High-performance Cortex A-76 cores, “High-efficiency Cortex A-76 cores and then 4 Cortex A-55 cores. This unique configuration is manipulated by using an innovative Kirin CPU subsystem with Flex Scheduling technology to allow the right core to be assigned to the right tasks as per the needs being demanded by the user. Essentially this is meaning that if you are just using the phone to send a text to someone then it will only utilise one of the smaller cores and then as you demand more such as streaming media more cores will come online to handle the load. It is not until you are using the device for high-end gaming that you will really start to push the load on the CPU that it will need to engage the high power and performing chips. This allows the device to be very efficient and lean on battery life whilst also having the reserve power for multitasking and associated tasks. Another area where there has been an improvement is in the areas concerning Graphics The SOC has now got a Mali-G76 GPU onboard allowing for a massive step up in graphics processing power of 46% whilst maintaining a 178% improvement in efficiency over the previous generation. In addition to this, Mali -G76 features innovative clock boosting technology that works with AI to identify gaming workloads and then allocate further resources as and when needed. So this will make your games work better and give higher framerates allowing for better fragging! The other thing that Huawei wanted to shout about was the fact that the onboard AI system has now been doubled to allow much better facilitation of the chipsets new enhanced capabilities. So now we got double the amount of AI oomph. One of the areas were this can easily be seen and also understood by us mere mortals is when it comes to image recognition. Now we saw the real world capabilities of this in the form of the Kirin 970 and their self-guided car back at MWC earlier this year however that will now pale in comparison to what can now be done. 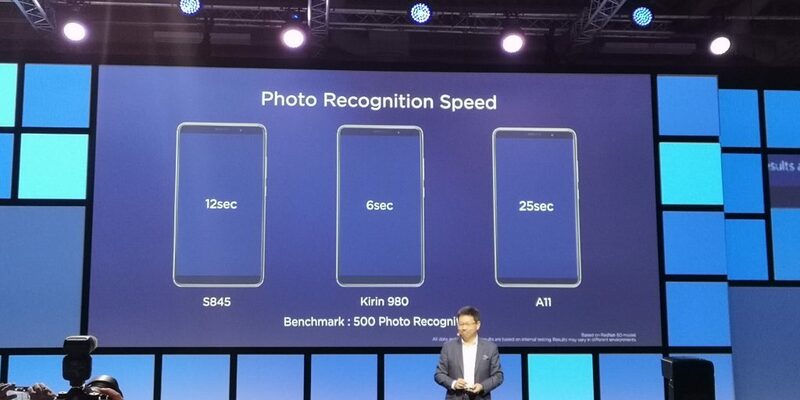 The Kirin 980 with its Dual NPU set up will now be able to recognize 4500 images per minute up 120% over the previous gen. This I just a staggering number and I am excited to see how they utilize this on future devices. Imaging has always been a big part of Huawei devices and it is whyI really like using my P20 Pro whenever I am travelling so to see some more improvements to the ISP on the chip s really exciting. They have continued the support for multi-camera setups and are also implementing an all-new HDR colour reproduction technology to manipulate contrast levels. This will improve the effectiveness of the shadowing effects that are found in the camera UI Improved motion tracking is also now on board to allow for much better recognition of moving objects allowing capture of those fleeting moments. Last but by no means least is connectivity. 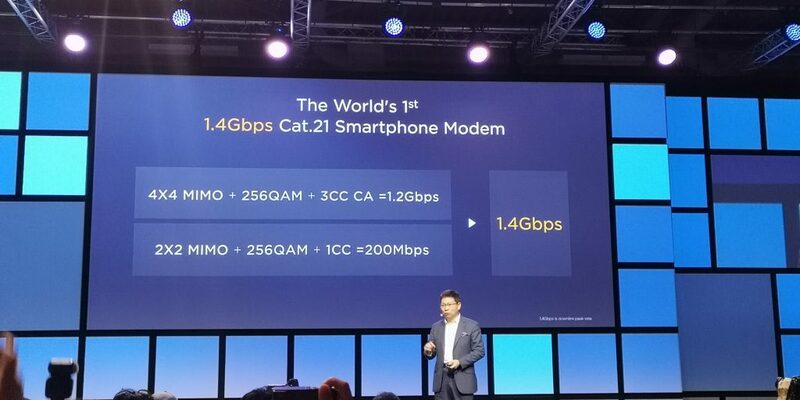 The Kirin 980 will now support the worlds first LTE Cat.21 modem with a peak download speed of 1.4Gbps allowing for more seamless connectivity when on the go. 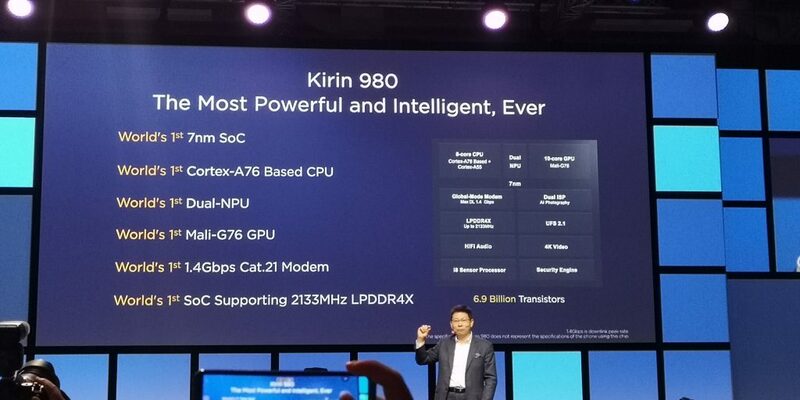 All of these things have culminated in the Kirin 980 is a chipset that is setting the bar for others to be compared against for the rest of the year and I am genuinely excited by what is coming next from Huawei in the form of their Handsets. The cutting edge TSMC 7nm process technology enables Kirin 980 to pack 6.9 billion transistors within a 1cm2 die size, up 1.6 times from the previous generation. Compared to the 10nm process, the 7nm process delivers 20 percent improved SoC performance and 40 percent improved SoC power efficiency. 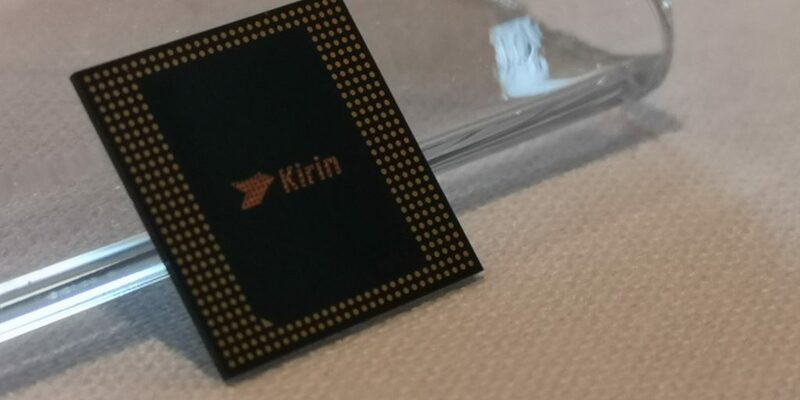 The Kirin 980 is also the first SoC to embed Cortex-A76 cores, which are 75 percent more powerful and 58 percent more efficient compared to their previous generation. In an octa-core configuration, the CPU in Kirin 980 is comprised of two high-performance Cortex-A76 cores; two high-efficiency Cortex-A76 cores; and four extreme efficiency Cortex-A55 cores. To take full advantage of this unique configuration, Huawei developed an innovative Kirin CPU subsystem with Flex-Scheduling technology that flexibly allocates the right cores to the right tasks. This solution designates the large high-performance cores to handle immediate, intensive workloads; the large, high-efficiency cores to provide sustained performance; and ultra-efficiency cores to tackle everyday, light activities with extreme power efficiency. Running at higher clock speeds compared to the prior generation, Kirin 980 enables quicker app launch times, better multi-tasking and a generally smoother user experience. The post Huawei Unveil the Kirin 980 – IFA2018 is original content from Coolsmartphone. If you see it on another news website, please let us know. 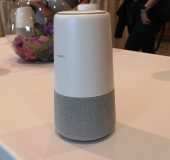 Huawei today introduced the AI Cube, an in-home speaker that relies on Amazon Alexa for voice-based smarts. 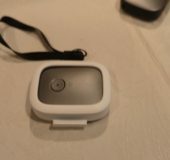 The AI Cube is unique in that it supports Cat 6 LTE and can serve as a mobile hotspot when needed. 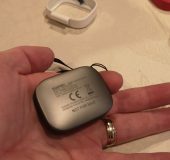 It includes dual-band WiFi for connecting phones, tablets, and other devices that rely on WiFi. 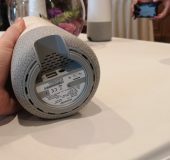 The speaker has a 400ml sound cavity and aluminum diaphragm that are controlled by Huawei’s Histen AI for dynamically adjusting bass response and gain to suit the surroundings. It has a 15W mono speaker and four microphones to support far-field voice recognition. The AI Cube has a white chassis and is available in three different mesh base colors. 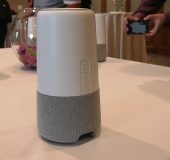 Huawei didn’t announce pricing or availability of the AI Cube. 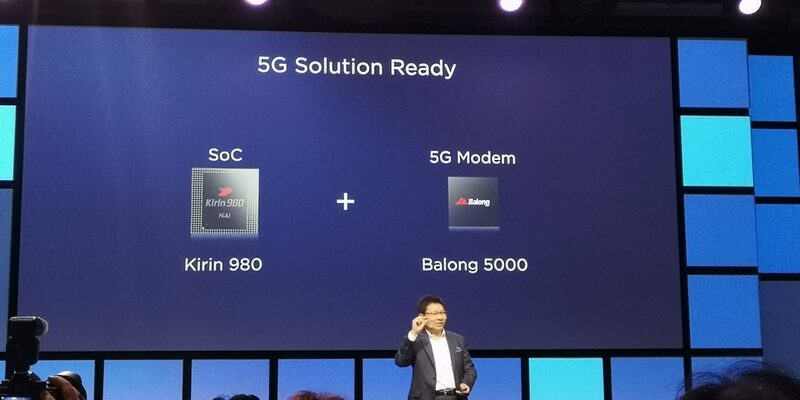 Huawei today announced the Kirin 980, its premiere system-on-a-chip for mobile devices. The chip adopts a 7nm process, allowing for a 20% boost in power output and a 40% jump in efficiency when compared to Huawei’s 10nm process. The chip employs eight cores in a unique configuration. It includes two high-performance ARM Cortex A76 cores, two high-efficiency A76 cores, and four extreme-efficiency Cortex A55 cores. 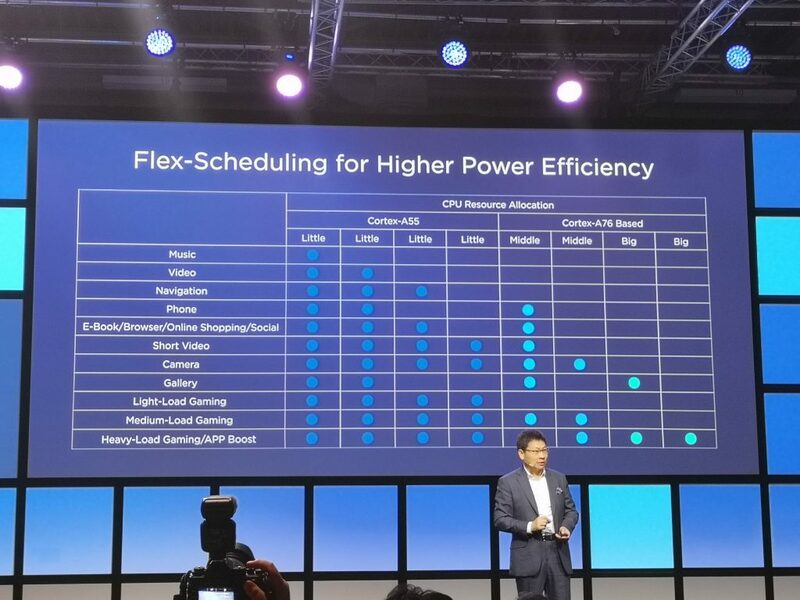 Huawei says a flex-scheduling subsystem assigns tasks to the appropriate cores as needed. The 980 adopts the Mail G76 GPU, which offers 46% greater graphics processing power and 178% improved efficiency. Clock boosting technology allows the G76 identify games and adjust accordingly. Huawei has given the Kirin 980 two NPUs (neural processing units) to improve on-device AI. The chip can identify 4,500 images per minute. The new image signal processor improves data throughput by 46% and better supports multi-camera configurations. It handles multi-pass noise reduction for better low-light results, and improves motion tracking for sharper focus. On the connectivity side of things, the Kirin 980 supports Cat 21 LTE with carrier aggregation, delivering download speeds up to 1.4 Gbps. Huawei says the Kirin 980 will make its debut in a new Mate series phone in October. Motorola today announced the Motorola One and Motorola One Power, two inexpensive phones that run the Android One platform. Motorola says these phones will be among the first to be updated to Android 9 Pie, and will receive security/feature updates for three years. The phones aren’t saddled with bloatware and include only essential apps from Google. One such app is Google Lens, which can help people identify places and things using the camera. Motorola One: This phone features a 5.9-inch HD+ screen with a 19:9 aspect ratio. It packs a dual 13-megapixel camera on the back and an 8-megapixel camera on front. Photo modes include portrait, cinemagraph, time-lapse, and 4K video capture. Google says the battery supports TurboPower charging. The Motorola One is based on a Snapdragon 625 processor with eight cores at 2 GHz. The phone goes on sale in Europe, Latin America, and Asia in the coming months for €299. Motorola One Power: This phone stretches the screen to 6.2 inches with full HD+ resolution and a 19:9 aspect ratio. Motorola claims the phone has two days of battery life, and can deliver 6 hours of performance after being charged for just 15 minutes. The phone is based on the Snapdragon 636 platform with eight cores at 1.8 GHz. Motorola says the One Power has 64 GB of internal storage, and it supports microSD cards up to 256 GB. The One Power will initially be sold in India starting in October. Motorola didn’t say if the phone will be made available in other markets. I didn’t have a great deal of time last night so here’s a very quick update on the weird solar-powered shed / phone project. If you read the first post then you’ll know that I basically want to create some sort of home server which isn’t powered by mains electricity. 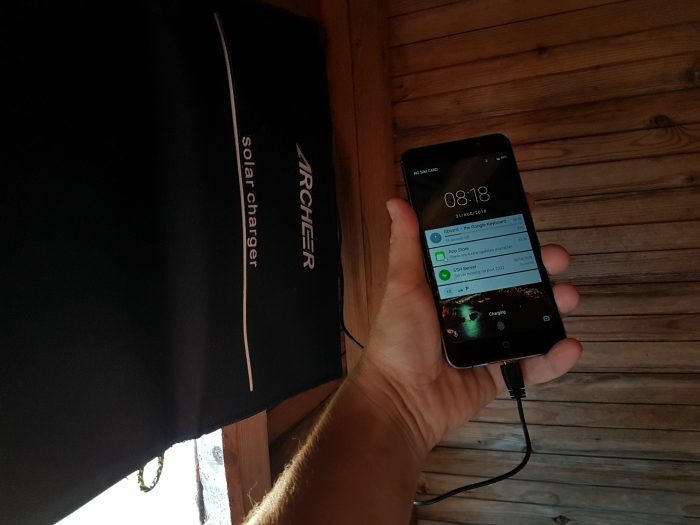 I’m going to make use of an old smartphone and hopefully keep it powered on, all the time, by topping up the battery with a foldable solar charger. It’s all detailed here and it’s going to live in my shed. So, I installed a load of apps on the phone. A web server, a MySQL server and an SSH server so that I could connect to the phone and move files onto it, perhaps update a little home website on there or something. To be honest I’m still not overly sure what I could host or put on the phone yet. I installed a PHP / HTML / MySQL server to begin with.. However, I’m a geek, so first I wanted to find out if any of this was going to work at all. If it’s not going to stay alive with the gloomy and rapidly-reducing late-summer daylight then there’s no real point. So, I need to keep an eye on the battery percentage and I want to know if it’s receiving charge from that solar panel. 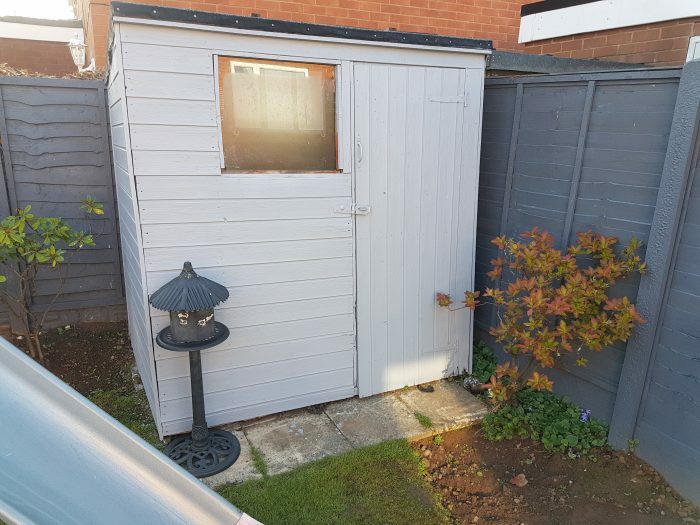 However, I don’t want to keep going up to the shed every day to check the thing because, well, I’m lazy. It was 8 o’clock last night when I was messing around with this, so it was going dark already. Plus, as is my style, I’d not charged the phone fully off the mains to start with. Preparation? Pah!! It was about 75% when I took it into the shed and balanced it, rather carefully, on the lawn mower. Oh yes, that’s how I roll people. I plugged it into the solar charger and, rather unsurprisingly, nothing happened. There was no daylight though so, no surprise there. Before all that, I’d downloaded something called REST API. I bloody love API’s I do. It gets my geek on. Basically you run the app on an Android phone and then, from anywhere else on your network, you can browse to a certain URL, which interacts with the phone to tell you what it’s doing. You can also do certain tasks, like take a picture on the phone, check the temperature, check the light sensor reading, look at the files, read the GPS location and more. Proper useful. You can even tell it to vibrate or send a notification. It’s all quite cool. … but that’s no good for this project, so I did some network address translation gubbins and basically allowed the phone to be accessed on the t’internet. I’ll tell you more about network address translation and port address translation in the next piece as I’m a little short on time. 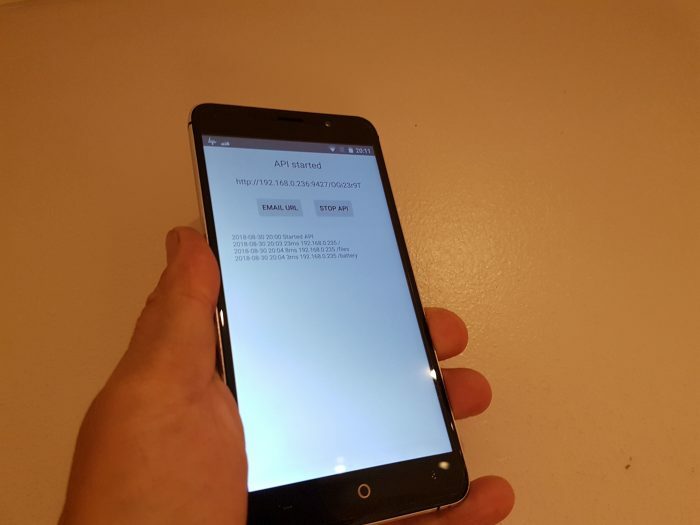 Here, I’ve set an automated job on the Coolsmartphone server which polls the specific home connection web address, and therefore the phone itself, every 5 minutes. Right now it just checks the battery percentage and whether it’s charging. If it is, this will be a sign that we’ve got enough light to make the solar panel work. Here then, after a bit of late-night bash scripting which alters the information to be more descriptive, is a totally LIVE reading of the phone in my shed. I’ll add more information and a bit more “polish” to this over the next few days, so stay tuned for the next part! Edit – I’ve just added this logging page, which lists each check so that I can have some basic historic metrics on when it’s charging and how the battery percentage performs throughout the day. Edit – I’ve started messing with the light sensor now, so we can see how much light the phone is getting. However, this should be taken with a pinch of salt at the moment as the solar sensor is blocking the shed window and the phone isn’t getting a great deal of light anyways. This chart gives some information on how to read Lux readings. Generally, the higher the better. As an example, 0 is no light, 50 is expected in a living room, 100 on an overcast dark day and 400 or more for proper daylight / sunshine. The post Random strange shed project. Day 2 is original content from Coolsmartphone. If you see it on another news website, please let us know. There are smartwatches that look rugged, such as the Gear S3 Frontier, and those that are truly rugged. Leading the pack, certainly as far as Wear OS is concerned, have been the Nixon Mission and the Casio ProTrek WSD-F10 and F20 models. Announced at IFA a few days is the latest upgrade to these, the WSD-F30. The previous generations were gigantic watches. The WSD-F30 is hardly svelte, but it does offer a slightly slimmer version of the previous models. Gone, too, is the ‘flat tyre’ of previous models, while the resolution and battery saving features have been updated. It’ll be available from January 2019 and available in black, blue and orange. UK pricing isn’t available yet, but it’s likely to be around the £500 mark given the previous models’ cost. If you can’t wait until then, the WSD-F20 has been reduced is now on sale at £350 here. For more details on the WSD-F30, see the Casio website. 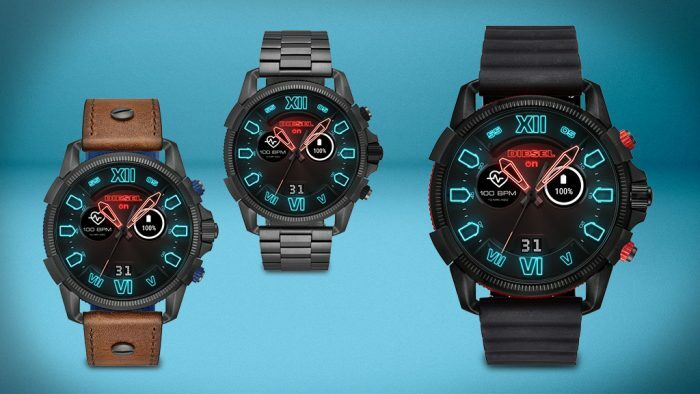 Part of the Fossil group of smartwatches is the newly announced Diesel Full Guard 2.5. 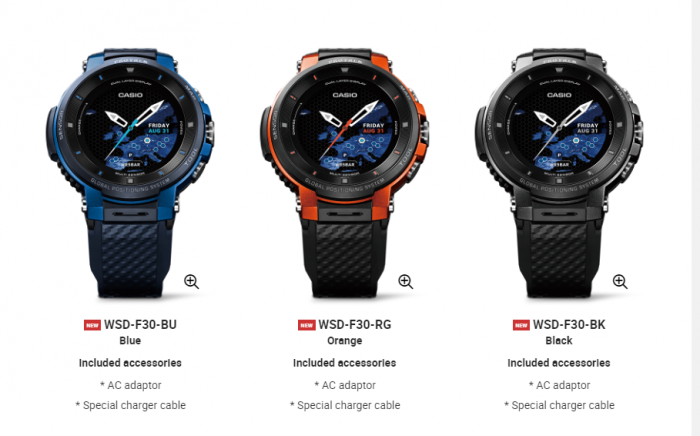 A rugged looking watch (without the military-grade certifications of the Casio) the Full Guard can boast to being the largest Wear OS device around. The case is a ginormous 56mm across, part of which houses a larger battery which Diesel promise will offer 2 days’ of use. Other than that it offers the usual slew of fitness features, NFC, Google Pay etc. Available in grey with a brown strap, black with a grey strap, and black with a black strap it’s due to go on sale in October. Pricing is yet to be confirmed but its predecessor was around the £350 mark, so expect something similar. 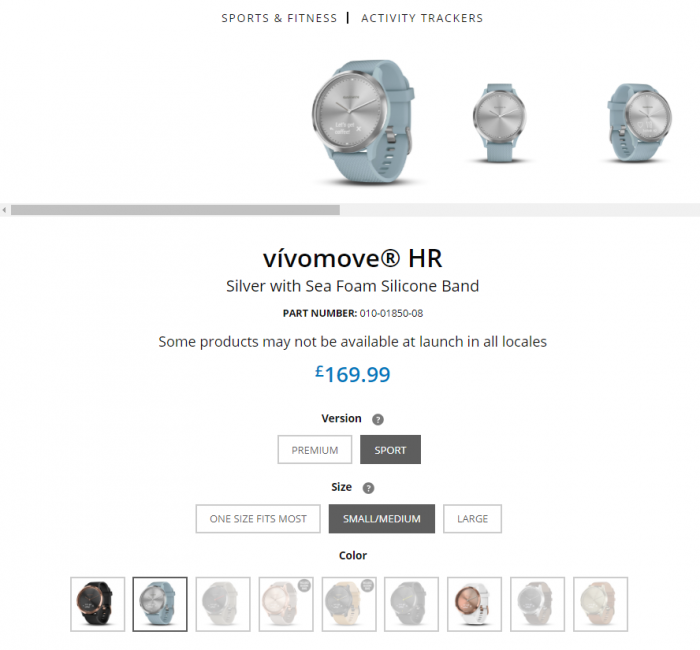 These are great watches for those wanting fitness trackers and smart functionality whilst retaining the look and feel of a ‘real’ watch. 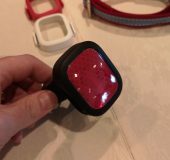 More details and colours are on the Garmin website. If these aren’t enough, we still have the launch of the Apple Watch 4 to come on 12 September. If the rumours are to be believed it will feature a similar design but with a larger screen and slimmed down bezel. There is some speculation that Huawei will release a new watch; whilst there is also talk about a new Google-branded Pixel watch to be released to coincide with the updates to Wear OS. We’ll keep you updated as soon as we know more! The post Smartwatches galore! is original content from Coolsmartphone. If you see it on another news website, please let us know.